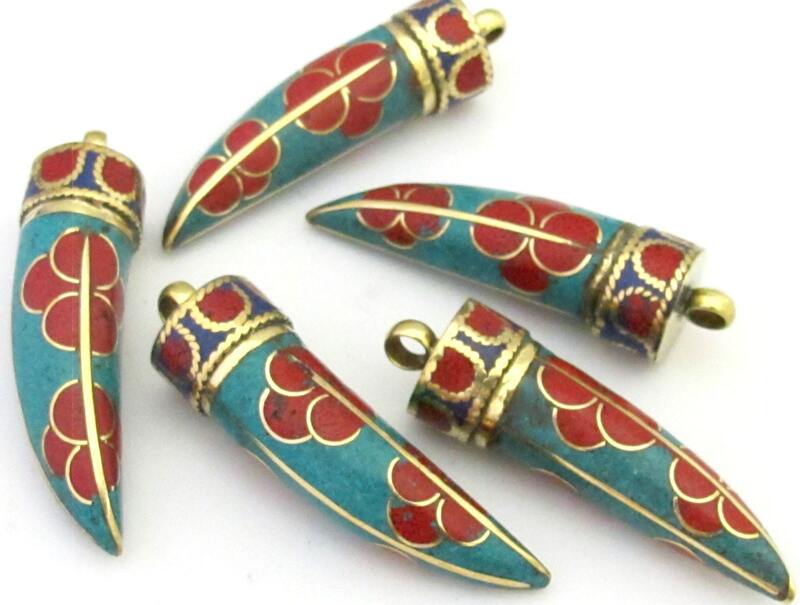 Beautiful Long Tibetan horn shape brass pendant. 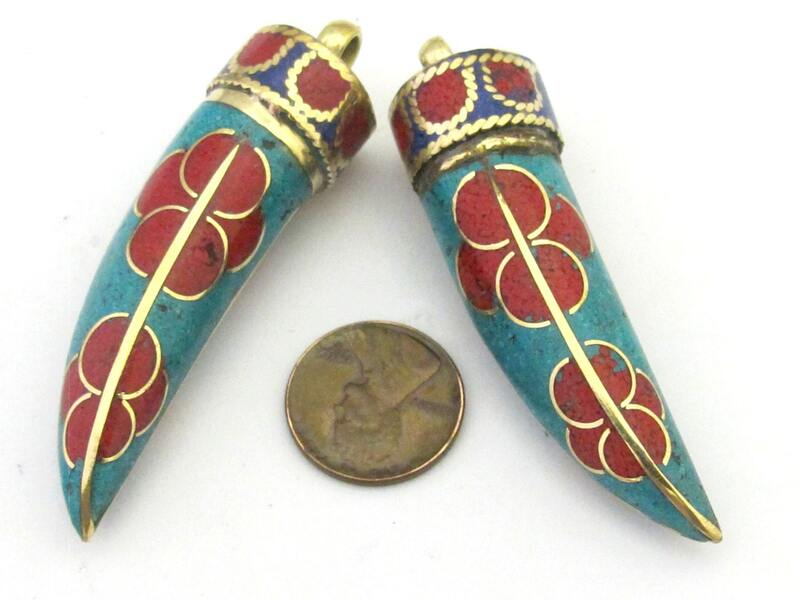 Inlaid with turquoise , coral and lapis. Handmade in Nepal. 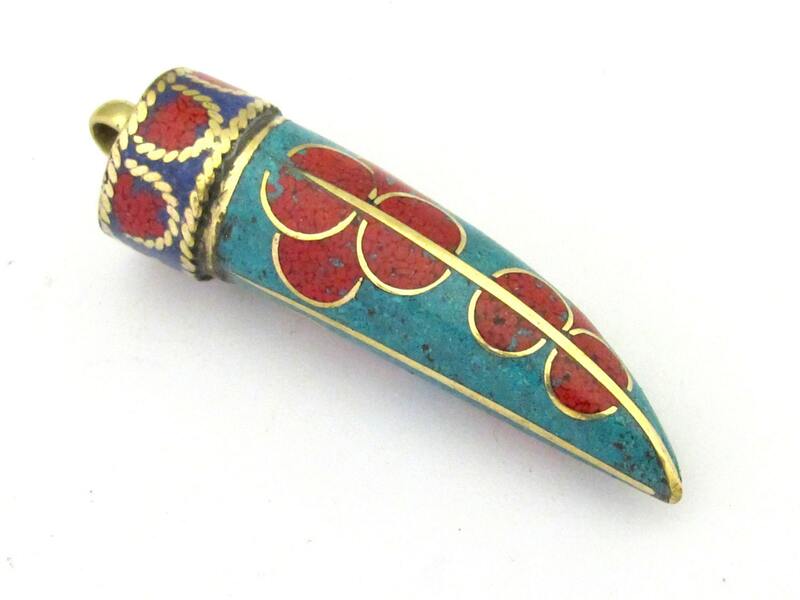 Floral design on pendant.